We provide Locum Doctors, Nurses and AHPs. 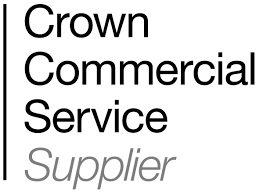 We are a CCS, NHS CPP and HealthTrust Europe Framework supplier. These terms tell you the rules for using our website www.medicurepro.co.uk (our site). www.medicurepro.co.uk is a site operated by Medicure Professionals Limited (”We”). We are registered in England and Wales under company number 08396434 and have our registered office at Camperdene House, High Street, Chipping Campden, Gloucestershire, GL55 6AT. Our VAT number is 278 288 057.
or telephone our customer service line on 0203 475 4027. Our Privacy Notice and Data Protection Policy and Procedure set out the terms on which we process any personal data we collect from you, or that you provide to us. By using our site, you accept such processing and you warrant that all data provided by you is accurate. If you wish to complain about information and materials uploaded by other users please contact us on 0203 475 4027. Give the impression that the Contribution emanates from Medicure Professionals Limited if this is not the case. Use of or inability to use our site; or use of or reliance on any content displayed on our site. If you wish to link to or make any use of content on our site other than that set out above, please contact ahp@medicurepro.co.uk. Medicure Professionals Limited (”we”) are committed to protecting and respecting your privacy. Our Group means, means our subsidiaries, our ultimate holding company and its subsidiaries, our associated companies as defined in section 1159 of the UK Companies Act 2006 (our Group). For the purpose of the Data Protection Act 1998 (the Act), the data controller is Medicure Professionals Limited of Camperdene House, High Street, Chipping Campden, Gloucestershire, GL55 6AT. Our nominated representative for the purpose of the Act is Gavin Johnstone. This is information about you that you give us by filling in forms on our site www.medicurepro.co.uk (“our site”) or by corresponding with us by phone, e-mail or otherwise. It includes information you provide when you register to use our site, to enter our database, subscribe to our services, attend our events, participate in discussion boards or other social media functions on our site, enter a competition, promotion or survey, and when you report a problem with our site. technical information, including the Internet protocol (IP) address used to connect your computer to the Internet, your login information if applicable, browser type and version, browser plug-in types and versions, operating system and platform; information about your visit, including the full Uniform Resource Locators (URL), clickstream to, through and from our site (including date and time), products you viewed or searched for’, page response times, download errors, length of visits to certain pages, page interaction information (such as scrolling, clicks, and mouse-overs), methods used to browse away from the page, and any phone number used to call our customer service number. If Medicure Professionals Limited or substantially all of its assets are acquired by a third party, in which case personal data held by it about its customers will be one of the transferred assets. If we are under a duty to disclose or share your personal data in order to comply with any legal obligation, or in order to enforce or apply our terms of https://www.medicurepro.co.uk/#terms-conditions–privacy-notice and other agreements; or to protect the rights, property, or safety of Medicure Professionals Limited, our customers, or others. This includes exchanging information with other companies and organisations for the purposes of fraud protection and credit risk reduction. You can exercise your right to accept or prevent such processing by checking certain boxes on the forms we use to collect your data. You can also exercise the right at any time by contacting us at ahp@medicurepro.co.uk. Questions, comments and requests regarding this privacy notice are welcomed and should be addressed to Medicure Professionals Limited, Camperdene House, High Street, Chipping Campden, Gloucestershire, GL55 6AT ahp@medicurepro.co.uk. (1) Medicure Professionals Limited (registration No: 08396434) of Camperdene House, High Street, Chipping Campden, Gloucestershire, GL55 6AT (“the Company”). • The Company, a recruitment business carries on the business of sourcing and supplying Contractors to provide specialist, technical services to its clients. The Client has instructed the Company on an assignment, as specified in the attached Assignment Schedule. • The Company will supply a Contractor to the Client to fulfil the Assignment on the terms and conditions of this agreement. • This Agreement is a framework agreement, the terms of which will apply to any and each Assignment Schedule agreed between the parties. “Umbrella Employed”means, a worker supplied by the Company employed by an intermediary company known as an umbrella company. 1.2.2. a reference to a statute or a provision of a statute is a reference to that statute or provision as amended or re-enacted at the relevant time. 1.3.3. if any term herein conflicts with any term in the schedules, then the schedules will take precedence, and the terms in the Assignment Schedule will prevail in the event of conflict between terms in the schedules. 2.1. This Agreement constitutes the entire agreement between the Company and the Client and will prevail over any terms of business or purchase conditions (or similar) proposed by the Client. These terms and conditions supercede all previous terms of business issued by the Company. 2.2. This Agreement can be terminated by either party giving the other 28 days’ written notice. Post termination on notice, this Agreement shall continue to apply to ongoing Assignments until their termination. 2.3. This Agreement will be deemed to be accepted by the Client by an Introduction to the Client, an Engagement, signature of this Agreement, signature of a Service Confirmation, by passing on of information about a Contractor to a third party or by conduct and this Agreement will apply whether or not the Contractor is Engaged by the Client for the same type of work as that for which the Introduction was originally effected. This Agreement is a framework agreement, the terms of which will apply to any and each Assignment Schedule agreed between the parties. 2.4. No variation or alteration to this Agreement will be valid unless the details of such variation are agreed between a Director of the Company and the Client and are set out in writing and a copy of the varied terms is given to the Client stating the date on or after which such varied terms will apply. 2.5. The Company will seek to ensure that the Contractor is suitably skilled to deliver the Services with reasonable skill and care and has made reasonable enquiries of the Contractor concerning suitability and technical competence. The Company does not test the Contractor’s technical skills and it is for the Client to satisfy itself as to the Contractor’s overall capability to fulfil the Assignment when interviewing the Contractor and/or during the first week of the Assignment. The Company will accept no responsibility for information relating to the Contractor, which is outside its knowledge. 2.6. The Company will undertake limited compliance measures to verify the Contractor has the right to work and leave to remain in the country in which the Services are physically performed but does not have a statutory obligation to do so and the Client must satisfy itself that the Contractor does have the appropriate right to work. The Company will require the Contractor to warrant under contract that appropriate taxes and social costs will be paid in respect of the Assignment. 2.7. The Client acknowledges that an incorporated Contractor will supply a Consultant to deliver the Services. Where the Consultant is unable or unwilling to provide any part of the Services for whatever reason the Contractor will be entitled to substitute the Consultant or sub-contract the performance of the Services provided that the replacement Consultant or sub-contractor has the required skills and qualifications and any professional registrations or clearances required by the Client. 2.8. The Client acknowledges that the Contractor will be permitted to determine how it will provide the Services and will have the flexibility to determine equipment required, place of work and working hours subject to the Contractor complying with any reasonable Client operational requirements and targets as are agreed. 2.9. Where the Services are undertaken at the Client’s site, the Contractor should comply with any reasonable requirements relating to working hours, health and safety, and any other operational requirements in relation to the Client’s site as are made known to the Contractor. 2.10. The Client must take steps to ensure that the Contractor is treated as an independent contractor and should not be given employee style instructions or privileges or be treated as under the Client’s supervision, direction or control unless expressly stated in an Assignment Schedule. 2.11. Nothing in the Agreement will serve to create any employer/employee relationship or principal/agent relationship between the Client and the Company or the Contractor and the Client. 2.12. The Client undertakes to comply with all applicable laws, regulations and legal duties (whether statutory or otherwise) arising from, directly or indirectly connected with the Services and will assist the Company in complying likewise. 2.13. The Client acknowledges that an Umbrella Employed is entitled to statutory leave including holiday and sickness leave. 2.14.3. notify the Company in writing of any AWR claim or potential claim which comes to its notice as soon as practicable. 3.1.4. the length of notice that the Client would be entitled to give and receive to terminate the Assignment. 3.2.2. the experience, training, qualifications, vetting, security clearance and any authorisations which the Client considers are necessary, or which are required by law or by any professional body for the Contractor to possess, to provide the Services. 3.3. The Conduct Regulations shall not apply to an Assignment unless the Contractor is stated as Non-Opt Out in the Assignment Schedule. 3.4. The Client will notify the Company as soon as practicable if it or the End Client is a public authority to which Off Payroll applies. If Off Payroll applies to an Assignment the Client warrants to comply with its obligations under Off Payroll or to ensure the End Client provides such a warranty and will notify the Company as soon as practicable but latest by the Commencement Date if the Assignment is inside IR35.The Client warrants to make its assessment accurately, honestly, with due care and on a timely basis prior to the Commencement Date. The Client shall notify the Company immediately if the Off-Payroll status changes during an Assignment. 4.1. At the end of each period of the Assignment, as specified in the Assignment Schedule (or at the end of the Assignment where the Assignment is for a period of less than 1 week or is completed or finished before the end of a week) the Client will verify the execution of the Services by signature of a timesheet or Service Confirmation provided to the Client for this purpose. 4.2. Such verification will constitute acceptance by the Client that the Services have been provided satisfactorily and in accordance with this Agreement. Failure to sign a Service Confirmation does not affect the Client’s obligation to pay the Fees in respect of time worked. In the event of a dispute the Client will cooperate fully and in a timely fashion with the Company to enable a Company to establish what hours, if any, were worked by the Contractor. 5.1. The Client agrees to pay the Fees plus applicable sales tax. Should any kind of withholding tax regime apply to the Fees due under an Assignment, then the Client Fees will be grossed up to incorporate any such amount of withholding tax which the Client is legally required to retain. 5.2. The Company reserves the right to vary the Fees agreed with the Client, by giving written notice to the Client, to comply with any additional financial liability imposed by statute or other legal requirement or entitlement. 5.3. The Fees are invoiced to the Client monthly or bi-weekly or as stated in the relevant Assignment Schedule and are payable within 14 days of date of issue. 5.4. Fees are set out in the relevant Assignment Schedule. The Client must approve timesheets or confirm delivery of Services by authorisation of a Service Confirmation and return them to the Company promptly. The Company relies on the fact that the Client has approved a timesheet or Service Confirmation when making payment to the Contractor. The Client will assist the Company if it needs to verify the Fees. The Client will retain one copy of each timesheet or Service Authorisation for its own records. 5.5. An authorised signatory of the Client should approve all expenses before they are incurred and provide confirmation of such approval in writing. The Client may reimburse the Company’s expenses directly. The Client will retain copies of all expense receipts submitted. 5.6. Under no circumstances should the Client discuss with the Contractor the rates charged by the Company to the Client. 5.7. The Company reserves the right to charge interest on invoiced amounts unpaid by the due date at the rate of 8% above the Bank of England base rate calculated on a daily basis until date of receipt of payment. If there is a statutory entitlement to charge interest at a higher rate than the contractual rate, then the Company reserves the right to levy interest at the higher statutory rate from the due date. 5.8. Without prejudice to the Company’s other termination rights, in the event of late payment of any invoice it will have the right to immediately suspend performance of this Agreement, including any other assignment, until the Client pays all invoices due to the Company together with providing such security, whether financial or otherwise, as the Company reasonably considers necessary to secure its position in respect of future Fees. 5.9. The Company may assign to a third party the right to render invoices and receive payment. 5.10. All invoices will be deemed to be accepted in full by the Client in accordance with the payment terms stated unless the Client notifies the Company in writing within five days of receipt of any dispute and the reason for dispute. In the event the Client does so notify the Company that it wishes to dispute part of an invoice, the Client will pay the undisputed part of the invoice within the agreed payment terms and will co-operate fully with the Company to resolve the dispute as quickly as possible. 5.11. The Client will indemnify the Company from and against all loss, damage, cost or expenses (including legal expenses) which the Company may incur as a failure of the client to pay the Company’s account on time or in taking steps to effect recovery of sums due from the Client. 6.1.2. following termination or expiration of the Assignment or any Assignment extension, pay the appropriate Introduction Fee. 6.1.3. The Introduction Fee is non-refundable. 6.2.2. following termination or expiration of the Assignment or any Assignment extension, pay the Introduction Fee. 6.2.3. The Introduction Fee is non-refundable. 6.3. Sub Clauses 6.1 and 6.2 will survive the termination of the Agreement for the Restriction Period. 6.4. In the case of an Assignment for the supply of a Contractor who has not opted out of the Conduct Regulations, the “Restriction Period” will be the Relevant Period as defined in Regulation 10, clause 5 of the Conduct Regulations, namely 8 weeks from the end of the supply or 14 weeks from its commencement whichever occurs later in time. The Client may elect, by giving 28 written days’ notice, to an extended period of hire (Extended Period of Hire) of 52 weeks, rather than payment of an Introduction Fee. Should the Extended Period of Hire terminate prior to its expiry or the Consultant refuse or be unable to continue to perform the Services, then the Company reserves the right to charge an appropriate Introduction Fee as an alternative. 7.1. Either party may terminate an Assignment by giving to the other party in writing the period of notice specified in the relevant Assignment Schedule. 7.2.3. The Client reasonably believes that the Company and/or Contractor has seriously breached any conditions of confidentiality made known to it from time to time in respect of the Confidential Information. 7.3.5. the Client, if an individual, dies, or due to illness or incapacity becomes incapable of managing his or her own affairs, or is the subject of a bankruptcy petition or order. 7.4. The Client agrees that should its financial position become untenable and its organisation be taken over, amalgamated or cease trading, then any financial obligations that are outstanding for work performed for the Client by the Company under this Agreement up to and including the date of the Company being notified in writing of such changes, will be honoured by the Client’s parent company or the new owners should a parent company not exist. 7.5. If the Client does not require the Contractor to deliver Services during any period of notice of Assignment then it remains liable to pay the Fees for each working day during the notice period at the rate set out in the Assignment Schedule. 7.6. If the Company, acting reasonably, refuses to accept the grounds provided by the Client for an immediate termination of an Assignment, then the termination shall be treated as on notice and Clause 7.5 shall apply. 7.7. If Brexit, namely the UK ceasing to be a member of the European Union, causes a substantial adverse impact on a party’s or the parties’ abilities to fulfil this Agreement, whether during a transitional or post-transitional Brexit period, then either party may request the other party to negotiate a variation to this Agreement to alleviate the adverse impact. Should an agreement not be reached on such variation within 14 days then either party will be entitled to terminate this Agreement in accordance with the notice period specified in the Assignment Schedule. The parties agree that all Intellectual Property in all the Documents produced by or on behalf of the Contractor in connection with or relating to this Agreement will vest in and belong to the Client. The Company will seek to procure, by contracting with the Contractor on the same terms as stated herein, that the Contractor irrevocably assigns to the Client all present and future rights with full title guarantee throughout the world, free from all encumbrance, save such rights as may be expressly owned or retained by the Contractor and set out in an Assignment Schedule. 9.1. Both parties will use reasonable endeavours to ensure that they will keep confidential (and take reasonable steps to procure that their Contractors, employees and agents will keep confidential) and will not at any time for any reason disclose, publish or permit to be disclosed to any person, or published, or otherwise make use of, or permit to be made use of, any Confidential Information. 9.2. Both parties will comply with the provisions of the Data Protection Laws. For the purposes of this Clause, Data Controller, Data Processor, Joint Controller and Personal Data shall have the meanings as defined in the Data Protection Laws. 9.3. Under this Agreement the Company is a Data Controller and the Client is a Data Controller. The parties are not Joint Controllers or Data Processors for the other or a third party unless specific terms are agreed to that effect. Under a standard form of consultancy assignment neither the Contractor nor the Consultant will be processing the Client’s personal data as a Data Processor unless specific terms are agreed to that effect. 9.4. The Client shall only process Consultants’ Personal Data for the agreed purposes for which the Personal Data is transferred unless it notifies the Company before undertaking any further processing. 9.5.3. they notify the other without undue delay on becoming aware of a Personal Data breach relevant to Personal Data transferred pursuant to this Agreement. 10.1. Whilst reasonable efforts are made by the Company to ensure the Services will be delivered to a reasonable standard of skill and in accordance with the Assignment Schedule, no liability is accepted by the Company for any loss, expense, damage, costs or delay (Losses) arising from the failure to provide a Contractor for completion of the Assignment whether by Contractor early termination or otherwise, or from the negligence, dishonesty, misconduct or lack of skill of the Contractor or the non-compliance of the Consultancy or Consultancy Staff with Data Protection Laws. The Contractor does not work under the supervision, direction or control of the Company. 10.2. The Company’s total liability under this Agreement will in all circumstances be limited to three (3) times the Fees levied under the Assignment in respect of which the liability allegedly accrues. 10.3. The Company will not be liable for special, indirect, consequential damages or any loss of profit, business, revenue, goodwill or anticipated saving of the Client or any third party. 10.4. For the avoidance of doubt, the Company does not exclude liability for its own gross negligence or wilful default, death or personal injury arising from its own negligence or for any other loss which it is not permitted to exclude by applicable law. 10.5. The Client will indemnify and keep indemnified the Company against any costs, claims damages, expenses or liabilities incurred by the Company arising out of any non-compliance with or as a result of any breach of this Agreement by the Client. 10.6. The Company confirms that it has the following insurances in place: Public Liability, Employers Liability and Professional Indemnity Insurance. The Company will upon request provide the Client with evidence of cover. All notices which are required to be given in accordance with this Agreement will be in writing and may be delivered personally, by first class prepaid post to the registered office of the party upon whom the notice is to be served or any other address that the party has notified the other party in writing, by email or facsimile transmission. Any such notice will be deemed to have been served: if by hand when delivered, if by first class post 48 hours following posting and if by email or facsimile transmission, when that email or facsimile is sent. 12.1. If any of the provisions of this Agreement are determined by any competent authority to be unenforceable to any extent, such provision will, to that extent, be severed from the remaining provisions, which will continue to be valid to the fullest extent permitted by applicable laws. 12.2. Except as expressly provided in this Agreement a person who is not a party to this Agreement will have no rights to enforce any term of this Agreement. 12.3. The Company may at any time assign, transfer, charge, subcontract or deal in any other manner with any of its right or obligations under this Agreement. The Client may do likewise with the Company’s consent, not to be unreasonably withheld. 12.4. Neither party will be liable to the other or be deemed to be in breach of this Agreement due to any delay in relation to the Services if the delay or failure is due to Force Majeure. 12.5. No failure or delay by either party in exercising any of its rights under this Agreement will be deemed to be a waiver of that right, and no waiver by either party of a breach of any provision of this Agreement will be deemed to be a waiver of any subsequent breach of the same or any other provision. 12.6. The Client will comply with all applicable anti-slavery and human trafficking laws, statutes and regulations from time to time in force including the Modern Slavery Act 2015. 13.1.4. promptly report to the Company any request or demand for a facilitation payment, financial or other advantage of any kind received by it, the Contractor and/or the Consultant in connection with the performance of this Agreement or any other circumstances which mean they can no longer comply with the terms of this Clause. This Agreement is governed by the law of England & Wales and is subject to the exclusive jurisdiction of the Courts of England & Wales. At all material times the Company is a recruitment business engaged in the supply of skilled specialists to its Clients. The Contractor is a company or registered freelancer specialist in the services required and related matters and is willing and able to provide its services on the terms of this Agreement and as specified in the Assignment Schedule. “Umbrella Employed” means, a consultant employed by an intermediary company contractor known as an umbrella company. “Works” means, but is not limited to, inventions, discoveries, improvements, promotions, formulae, designs, models, prototypes, programs, sketches, drawings, manuals, Source Codes, plans and reports prepared by the Contractor and the Consultant in connection with the Services. 1.2.3. “this Agreement” or to any other agreement or document referred to in this Agreement means this Agreement or such other agreement or document as amended, varied, supplemented, modified or novated from time to time and includes the Schedules. 1.3.4. words importing the singular number include the plural and vice versa and words importing any gender include any other gender. 2.1. The Company appoints the Contractor to provide the Services with effect from the Start Date until this Agreement is terminated in accordance with Clause 6 below. This Agreement is a contract for services. 2.2. This Agreement may only be extended or renewed by the agreement of the parties in writing. 2.3. Any time for performance of the Services will be as specified in the Assignment Schedule hereto or where no time is specified within a reasonable time and time will be of the essence. 2.4. This Agreement is deemed to have been accepted by the Contractor on the earlier of the date it is signed by the Contractor or on which the Contractor first provides the Services. Neither the Contractor nor the Consultant will have a right to compensation should the Services fail to commence for any reason. 2.5. The Contractor must provide evidence within seven (7) days of request of the Contractor’s company registration, directorships and shareholdings, applicable sales tax registration, the full name and documentary confirmation of identity of the Consultant, the Consultant’s address, NI number, date of birth or their UTR number, confirmation of compliant immigration status and right to work, relevant qualifications, authorisations, security clearances of the Consultant as required by the Client, or by applicable law or professional body, and such other compliance documentation as may be required by the Client and made known to the Contractor (the Compliance Evidence). The Start Date is subject to delay if the Compliance Evidence is not submitted within a reasonable time. 2.6. The Company may withhold payment of invoices until the Compliance Evidence is provided in full. Should the Compliance Evidence not be provided within a reasonable time or be considered unsatisfactory, then this Agreement may be terminated and the Consultant may be required to provide his services via an employed umbrella company solution with an alternative Contractor satisfactory to the Company prior to payment, to comply with the Agency and Intermediaries Legislation. The Company does not need to exercise its Right to Audit set out in Clause 15 prior to reliance on this Clause 2.6. 2.7. If applicable the Company will require the Client to make an Off Payroll Determination and will seek to do so prior to the Start Date. The Contractor will supply the Compliance Evidence as required under Clause 2.5 and Clause 3.1.2 to assist the Company and the Client to make the Off Payroll Determination. 2.8. The Conduct Regulations do not apply to the Assignment unless stated otherwise in the Assignment Schedule. 3.1.15. if supplying an Umbrella Employed, apply the travel and subsistence rules in the Agency and Intermediaries Legislation compliantly if applicable to the Assignment and in this regard, recognises that for the purpose of applying the legislation, supervision, direction or control by the Client is assumed unless demonstrated otherwise. 3.2.5. procure that the Consultant obtains cover, if practicable, for the insurances as stated herein in Clause 7 should the Contractor’s insurances not provide adequate cover and that in this event, the Consultant contracts on the same terms with them as stated herein at Clause 9 and such term will continue in full force and effect after termination of the Consultant’s agreement. 3.3. Nothing in this Agreement will render the Contractor or the Consultant an employee of the Company or the Client and neither will hold themselves out as such. There is no obligation on the Company to secure an assignment for the Contractor or, to pay the Contractor in-between assignments or to pay the Contractor for periods during an Assignment where the Contractor cannot provide Services for any reason, irrespective of cause, which will include but not be limited to poor weather conditions, lack of equipment and ill health of the Consultant. 3.4. The Contractor may remove and replace any Consultant from an Assignment on a temporary or permanent basis, having liaised with the Client and the Company and taken their needs into consideration, or upon the Company or Client’s request. The Contractor will ensure that any new or additional Consultant will have the skills, qualifications, professional registrations, authorisations and security clearances required by the Client and is able to deliver the Services. S/he will be provided with all necessary training, information and data to enable the Contractor to continue the provision of the Services without any interruption or disruption to the Assignment and the Contractor will not levy any fees in consequence directly or indirectly of any change in the Consultant. 3.5. The Contractor warrants that it is not a Managed Service Company to which the MSC Regulations apply. 3.6. This Agreement is not exclusive and the Contractor and the Consultant may undertake services or perform work for third parties provided that at all times such services or works do not create a conflict of interest with the provision of the Services. 4.1. The Company will pay to the Contractor the Fees within 28 days by bank transfer from the date a correctly submitted self bill invoice supported by timesheet, Service Confirmation or Client expense approval is received by the Company. The Fees are exclusive of applicable sales tax, which will be paid at the prevailing rate. 4.2. The Company agrees to complete self-billed invoices showing the Contractor’s name, address and VAT registration number and all other details required for a full VAT invoice and to issue them for all Services supplied to them by the Contractor until the end date of this Agreement. The Company may subcontract this obligation. 4.3. The Contractor agrees not to raise invoices for the transactions covered by this Agreement and to accept self-bill invoices raised by the Company on its behalf until the end of this Agreement. 4.4. The Contractor agrees to notify the Company immediately if they change their VAT registration number, stop being VAT registered or sell their business (or part of their business). 4.5. The Contractor will only receive payment for Services supported by timesheet or Service Confirmation authorised by the Client. Any delay the Contractor encounters in obtaining Client authorisation must be communicated promptly to the Company and it must assist the Company in resolving any disputes, including those relating to the quality of the Services. The Contractor recognises that falsifying a timesheet or a Service Confirmation is fraud and potentially a criminal offence. 4.6. Invoices submitted more than three months after the last working day covered by the supporting timesheet or Service Confirmation will only be paid once the payment in full is received from the Client for those Services. This sub-clause will not apply if the Conduct Regulations apply to the Assignment. 4.7. The Company will be entitled to set off against any Fees or other payments due to the Contractor any overpayments, advances, debts, interest payable on advances and amounts due arising out of any other liability of the Contractor to the Company. The exercise of its rights under this Clause will not limit or affect the Company’s other rights or remedies, including the right to claim repayment as a debt. 4.8. The Contractor will not be entitled to reimbursement of any expenses incurred unless specified in the Assignment Schedule, incurred with the Client’s prior written approval and in compliance with the Client’s expense policies. Expenses will only be reimbursed upon invoice supported by evidence of expenditure and Client approval. 4.9. The invoicing currency will be specified in the Assignment Schedule. Any foreign exchange charges or exchange rate losses will be borne by the Contractor. 5.1. The Contractor warrants that all Intellectual Property in the Works will vest in and belong to the Client and/or the end client. The Contractor irrevocably assigns to the Client or the end client all present and future rights with full title guarantee throughout the world, free from all encumbrances. The Contractor will procure that the Consultant contracts on the same terms with them as stated herein. The Contractor and Consultant will execute and do all acts as are necessary to enable the Client or end client to apply for and obtain protection in any and all countries. 5.2. The Contractor warrants that it has the right to use all software and materials utilised in connection with the Works, that all necessary licences in connection with the use of all software and materials have been purchased and that the Works do not infringe any third-party rights. 5.3. The Contractor and Consultant agree to defend and hold harmless the Company, the Client and any end client or user against claims of infringement of third party rights. 6.1. The Company may terminate this Agreement at any time by giving the Contractor notice in writing as specified in the Assignment Schedule. 6.2. Notwithstanding Clause 6.1 the Company may immediately terminate an Assignment during the first week of an Assignment without giving any reasons whatsoever. 6.3.5 goes into liquidation or receivership, has a receiver appointed over a significant part of its assets, or takes or suffers any similar action because of debt or anything analogous occurs under the law of any jurisdiction in relation to the Contractor. 6.4. The Contractor acknowledges that the continuation of the Assignment is subject to and conditioned by the commencement and continuation of the agreement entered into between the Company and the Client. No payment will be due if the Assignment does not commence. The Company may terminate this Agreement with the Contractor with immediate effect if the agreement between the Company and the Client is terminated by the Company or the Client for any reason or the delivery of the Services is on temporary hold for more than 5 working days, whether due to a Force Majeure event or otherwise. Force Majeure means acts, events, omissions or accidents beyond a party’s reasonable control, including strikes or other industrial disputes, failure of a utility service or transport network, act of God, war, riot, civil commotion, malicious damage, compliance with any law or governmental order, rule, regulation or direction, accident, breakdown of equipment, fire, flood, storm or material default of suppliers or subcontractors. 6.5. The right to terminate this Agreement in accordance with this Clause 6 will not prejudice any other right or remedy of either party in respect of the breach concerned or any other breach. 6.6. Upon termination of this Agreement for any reason the Contractor will be entitled to undisputed Fees to the date of termination, but it will not be entitled to any other payment or compensation whatsoever in respect of such termination. 6.7. If Brexit, namely the UK ceasing to be a member of the European Union, causes a substantial adverse impact on a party’s or the parties’ abilities to fulfil this Agreement, whether during a transitional or post-transitional Brexit period, then either party may request the other party to negotiate a variation to this Agreement to alleviate the adverse impact. Should an agreement not be reached on such variation within 14 days then either party will be entitled to terminate this Agreement in accordance with the notice period specified in the Assignment Schedule. 6.8. Clauses 5, 7, 8, 9, 10, 11, 12, 15 and 16 of this Agreement will continue in full force and effect after termination of this Agreement. 7.1.3. during this Agreement and for a period of six years following termination professional indemnity insurance, including cover for the acts and omissions of the Consultant of at least £1,000,000 per occurrence. 8.1. The Contractor warrants that it will always keep confidential (and take steps to procure that its Consultant, employees and agents will keep confidential) and will not at any time for any reason disclose, publish or permit to be disclosed to any person, or published, or otherwise make use of, or permit to be made use of, any Confidentiality Information, save as required by law or in respect of Confidential Information already in the public domain. 8.2. The Contractor will immediately notify the Company should it become aware of the possession, use or knowledge of any of the Confidential Information by any unauthorised person, whether during or after the term of this Agreement and will provide such assistance as is reasonable. 8.3. The Contractor will and will procure that the Consultant will sign any reasonable confidentiality agreement provided to it by the Client. 8.4. At the end of the Assignment or on request of the Client or end client, then the Contractor will and will procure that the Consultant will deliver up to the Client or end client (as directed) all Works, pass cards, passwords, and other Client materials held by the Contractor or Consultant. 9.1.3. the Contractor providing inaccurate, partial or fraudulent information and/or documentation to either the Company or any other third party, including HMRC and the Client, in respect of its and the Consultant’s status and operations. 9.2. No failure or delay by either party in exercising any of its rights under this Agreement will be deemed to be a waiver of that right, and no waiver by either party of a breach of any provision of this Agreement will be deemed to be a waiver of any subsequent breach of the same or any other provision. 9.3. The Company will have no liability to the Contractor for any loss, damage, costs or expenses (Losses) incurred by the Contractor or Consultant arising out of the provision of services or the Company’s legal obligation, if applicable, to make an Off Payroll Determination and subsequent PAYE, employer’s and employee’s NIC calculations, save it does not exclude liability for personal injury or death or any other liability it is unable to exclude under applicable laws. In any event, the Company will not be liable for any special, indirect, or consequential Losses or any loss of profit, business, revenue, goodwill or loss of anticipated savings of the Contractor or any third party. 9.4. The Client as specified in the Assignment Schedule will have the right to enforce this Clause 9 and Clause 5.3 as a third party. 10.2. Under this Agreement the Company is a Data Controller and the Contractor is a Data Controller. They are not Joint Controllers or Data Processors for the other or a third party unless specific terms are agreed to that effect. Under a standard form of consultancy assignment neither the Contractor nor the Consultant will be processing the Client’s Personal Data as a Data Processor unless specific terms are agreed to that effect. 10.3. The Contractor shall ensure that it has in place appropriate technical and organisational measures to protect against unauthorised or unlawful processing of Personal Data and against accidental loss or destruction of or damage to Personal Data. 10.4. The parties shall provide reasonable assistance to the other in complying with their respective obligations under the Data Protections Laws with respect to data subject access requests and other data subject rights, data security, breach notification, impact assessments and consultations with supervisory authorities or regulators and shall notify the other without undue delay on becoming aware of a data breach relevant to Personal Data transferred and processed pursuant to this Agreement. 10.1.2. and provide such information, assistance and cooperation and do such things as Company may request to (i) investigate and defend any claim or regulatory investigation; (ii) mitigate, remedy and/or rectify such breach; and (iii) prevent future breaches. 11.1.4. promptly report to the Company any request or demand for a facilitation payment, financial or other advantage of any kind received by the Contractor and/or the Consultant in connection with the performance of this Agreement or any other circumstances which mean they can no longer comply with the terms of this Clause. 12.1.2. it will advise the Company if it, its Consultant or any associate of the Contractor or any of its or their officers or employees are offered any contract of service or contract for services and will immediately disclose to the Company details of the total package including remuneration and benefits offered. 12.2. Should the Contractor and/or its Consultant provide services to the Client or to any subsidiary or associated company of the Client, any end client or any other third party to whom the Client has introduced the Contractor and/or Consultant other than through the Company during the Restriction Period then the Contractor will pay the Transfer Fee. 12.3. Clause 12 will survive the termination of the Contract for the Restriction Period. 12.4. Clause 12 will only apply to an Assignment in respect of which the Contractor and Consultant have opted out of the Conduct Regulations. 12.5. If the Agreement is subject to the Conduct Regulations then the Company may be entitled to supply the Consultant to its Client for an extension period (Extended Hire) or receive a fee before the Client can engage the Consultant directly or indirectly, other than via the Company. 13.1. This Agreement contains the entire agreement between the parties and supersedes and replaces all previous agreements and understandings between the parties. Each party acknowledges that, in entering this Agreement, it is not relying on any representation, warranty, pre-contractual statement or other provision except as expressly provided in this Agreement. 13.2. If any provision in this Agreement is held by any court or other competent authority to be invalid or unenforceable in whole or in part, this Agreement will continue to be valid as to its other provisions and the remainder of the affected provision. 13.3. Without limiting the generality of the foregoing, neither party will have any remedy in respect of any untrue statement made to him upon which he may have relied in entering into this Agreement, and a party’s only remedy is for breach of contract. However, nothing in this Agreement purports to exclude liability for any fraudulent statement or act. 13.4. The Contractor may not assign, novate, mortgage, charge (otherwise than by floating charge), or sub-contract any of its rights and obligations hereunder without the written agreement of the Company. The Company may assign, novate, subcontract or deal in any other manner with its rights and obligations under this Agreement. 13.5. No rights accrue to third parties under this Agreement, save as permitted under Clause 13.4 and Clause 9. 13.6. The parties will comply with all applicable anti-slavery and human trafficking laws, statutes and regulations from time to time in force including the Modern Slavery Act 2015. 13.7. No variation or alteration to this Agreement or the Assignment Schedule will be valid unless the details of such variation are agreed between a Director of the Company and the Contractor and are set out in writing, save that the Company can vary the Fees unilaterally to comply with its statutory obligations. All notices which are required to be given in accordance with this Agreement, save as given by the Company under Clause 6 which may be given orally, will be in writing and may be delivered personally or by first class prepaid post to the registered office of the party upon whom the notice is to be served or any other address, including an e-mail address, that the party has notified the other party in writing, by e-mail or facsimile transmission. Any such notice will be deemed to have been served: if by hand when delivered, if by first class post 48 hours following posting and if by e-mail or facsimile transmission, when that e-mail or facsimile is sent, or at 9 a.m. of the next business day of the sender if sent after 6 p.m. The Company reserves the right, upon the giving of reasonable notice, to audit the Contractor, on an ad hoc basis, to verify compliance with this Agreement and all statutory requirements including but not limited to taxation and NICs/social costs legislation. To assist the Company in it audit, the Contractor will maintain such records as are necessary to comply with this Agreement and all statutory requirements and provide the Company with access to its premises and all relevant records, upon reasonable notice. This Agreement is governed by and construed in accordance with the laws of England and Wales and the parties agree to submit to the exclusive jurisdiction of the courts of England and Wales.